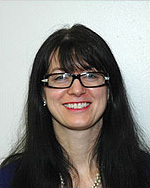 Dr. Jennifer Consilio, Professor and Writing Center Director, began her career at Lewis in 2005. She earned her Ph.D. from Purdue University in Rhetoric and Composition, with secondary areas in digitality and minority rhetorics. She has taught courses including Writing for the Professions, Document Design, The Electronic Word, Advanced Technical Writing, Writing in the Disciplines: Law Enforcement, Theories of Composing, Rhetoric for Writers, Advanced Writing, and courses in the First-Year Writing sequence. Recent scholarship presentations include "Reuse, Recycle: Constructing a (Re)New(ed) Ethos for Composition Studies," and "Playgrounds of the Mind: Online Play with Identity." She serves as the area chair in Virtual Identities and Self-Promotion for the National Popular Culture/American Culture Association and is currently working on a project examining technology and identity. 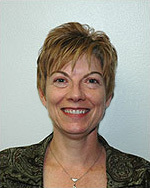 Dr. Serafima Gettys, Associate Professor, the Director of the Foreign Language Program, joined Lewis University in June 2004. She earned her Ph.D. in Second Language Acquisition from St. Petersburg State University of Education, Russia. Prior to teaching at Lewis University, she taught in a variety of institutions of higher education, including UC Berkley and Stanford University. At Lewis University she established an innovative Foreign Language Program, which currently offers courses in ten world languages. 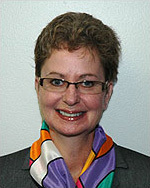 Dr. Gettys teaches Russian language courses and a course in Linguistics. Her current research interest is Cognitive Approaches in SLA and is a regular presenter at ACTFL, NCOLCTL, and AATSEEL conferences, as well as a number of international conferences and workshops. She is currently working on the 2nd edition of Russian for Dummies and serves as a member of the Graduate Council. 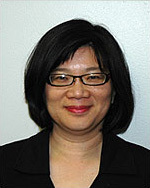 Li Feng Hu, Assistant Professor, earned her Master's in Teaching English as an International Language from the University of Illinois at Urbana-Champaign with an emphasis on Communicative Language Teaching and Second Language Acquisition. She started teaching at Lewis as an instructor in 2008. 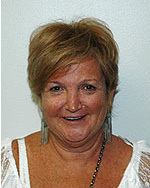 She was hired as the Assistant Director for the Foreign Language Program in 2009. She teaches all four levels of Chinese language courses and is responsible for conducting workshops and training programs for foreign language instructors. She has also helped organize various extracurricular activities to promote foreign language learning and global awareness at Lewis. She is currently working on program and course assessment based on evidence of student learning outcomes, using guidelines and protocol for the Oral Proficiency Interview from the American Council on The Teaching of Foreign Languages. 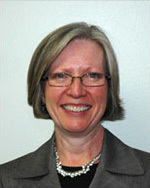 Therese Jones, Assistant Professor, began teaching part-time for the English Studies Department in 1994, was promoted to half-time in 2000, and gained full-time status in 2011. She has a Master's in English with a concentration in Literature and Composition Studies from St. Xavier University. Assistant Professor Jones is the Director of Writing Placement, administering the placement exam and assessing its efficacy (1999-present), and she is the Editor, Designer, and Coordinator of Lewis' annual journal, Windows Fine Arts Magazine (2003 to present). She regularly teaches all levels of the First-Year Writing sequence, as well as general education literature courses, particularly Experience of Literature and Introduction to Fiction. Assistant Professor Jones serves the Department on numerous task forces, advises majors in all programs, and regularly presents papers at the ACCA Scholarship of Pedagogy. Dr. Sheila Kennedy, Professor, received her doctorate from the University of Illinois at Chicago, in the Language, Literacy, and Rhetoric program, with specializations in the teaching of Writing, the history of Rhetoric, and Socio-linguistics. A proud graduate of Lewis University, she joined the English faculty in 1992 and teaches a variety of writing courses, including First-Year Writing, Advanced Writing, Creative Nonfiction, and the writing methods courses for English-Language Arts Secondary Education majors. Her special interests include writing pedagogy, writing for self-development, life-story writing, and literary journalism. She has previously served as Director of the Writing Center, and serves on the Writing Across the Curriculum and Writing Program Committees, and the Lasallian Vocation Council. Her current work includes developing journal-writing workshops for a variety of audiences and investigating the uses and processes of private writing. 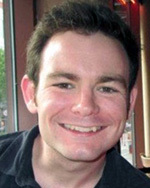 Mark Letcher, Assistant Professor of English Education and Director of the English Language Arts Teaching Program, joined the Lewis faculty in 2015. A former high school English teacher, he earned his PhD in English Education from The Ohio State University. He teaches literature and writing methods courses for ELA Secondary Education majors, drama, as well as courses in the First-Year Writing sequence. His research interests include adolescent literature and literacy, writing teacher education, and teacher advocacy. He is one of the founding editors of Teachers, Profs, Parents: Writers Who Care, a peer-reviewed blog advocating for best writing practices in K-16 classrooms. Dr. Letcher is actively involved with the National Council of Teachers of English (NCTE), the Conference on English Education (CEE), and the Assembly on Literature for Adolescents of NCTE (ALAN). He is a former young adult literature editor at English Journal, and serves as the chair of the 2015-16 Amelia Elizabeth Walden Award committee of ALAN, which annually selects young adult books representing literary excellence, positivity, and broad appeal. He has also served as a commission chair within CEE and the Conference on College Composition and Communication (CCCC). Dr. Tom McNamara joined the Lewis English Studies department in 2018 and coordinates the university’s Writing Across the Curriculum (WAC) program. 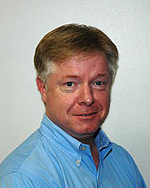 Dr. McNamara was previously a faculty member at California State University Fresno, where he coordinated the WAC program and taught English Education courses, and he completed his PhD at the University of Illinois at Urbana-Champaign Center for Writing Studies. 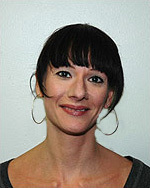 Dr. McNamara’s research interests include literacy studies, critical race theory, critical pedagogy, race and globalization, and ethnographic methods. An article drawing on his ethnographic study of Chinese international students has been published in Literacy and Composition Studies. His current projects include another article drawing on his work with Chinese undergraduates, as well as a collaborative project about the Mendez v. Westminster Supreme Court case and its implications for language rights advocacy. Dr. McNamara has presented research at CCCC, the Thomas R. Watson Conference on Rhetoric and Composition, and the International Writing Centers Association conference. 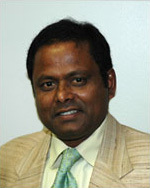 Dr. Pramod Mishra, Associate Professor and Chair, joined the Department in the fall of 2010. Dr. Mishra came from Augustana College, Rock Island, IL, where he had taught since the fall of 2002 and had been recommended for tenure by the Faculty Welfare committee, the Dean and the President. Dr. Mishra earned his Ph.D. from Duke University in English with an emphasis on Postcolonial literature and theory and his M.A. in English from Northern Illinois University. He teaches courses in the First-Year Writing sequence, in the general education literature curriculum, Non-Western and Postcolonial majors' courses, and American and British literature when needed. He is also available to teach literary theory and courses in Third-World film. He has published articles on international and postcolonial issues in Ariel: A Journal of International English Literature and CR: The New Centennial Review. He has presented papers and given talks at the MLA and other places both in the US and overseas. Since 2009, he has written a regular column on literature, culture, and society under Crossroads for The Kathmandu Post. Dr. Simone Muench, Professor and Director of Track Three, began at Lewis in 2003, and regularly teaches Introduction to Poetry, Creative Writing and Film courses. She received her Ph.D. in English from the University of Illinois at Chicago, and is the author of four full-length poetry collections, as well as several chapbooks and collaborative projects. Currently, she is working on a manuscript investigating the cento form titled Wolf Centos. A former editor of ACM (Another Chicago Magazine), she is now an editor for Sharkforum and faculty advisor for Jet Fuel Review; additionally, she serves on the advisory boards of Switchback Books and UniVerse: A United Nations of Poetry. She is a recipient of a 2000 and 2009 Illinois Arts Council Fellowship, a VSC Fellowship, the 49th Parallel Award for Poetry, the PSA's Fine Lines Contest, the Charles Goodnow Award, the PSA's Bright Lights/Big Verse Contest, and others. 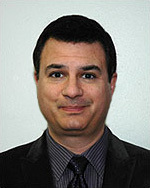 Dr. Jamil Mustafa, Professor, joined Lewis University in 2000 after completing his Ph.D. in English at the University of Chicago. He specializes in Victorian literature, the Gothic, and film studies. He has taught Introduction to English Studies, Stories into Film, The Horror Film, surveys in British literature, and courses in Gothic and Victorian literature. He also teaches Literary London and is one of the leaders of the London Travel Study. His journal articles include “Representations of Masculinity in Neo-Victorian Film and Television,” “‘A good horror has its place in art': Hardy's Gothic Strategy in Tess of the d'Urbervilles," and "'The Lady of the House of Love': Angela Carter's Vampiric Sleeping Beauty." Forthcoming are “The American Gothic and the Carnivalesque in Something Wicked This Way Comes,” and “Penny Dreadful’s Queer Orientalism: The Translations of Ferdinand Lyle.” His book chapters include “Haunting ‘The Harlot’s House’” (in Wilde’s Worlds), “Lifting the Veil: Allegory, Ambivalence, and the Scottish Gothic in The Bride of Lammermoor” (in Gothic Britain), “‘You can’t spell subtext without S-E-X’: Supernatural, Gothic Intertextuality, and the (Queer) Uncanny"' (in Supernatural and the Gothic Tradition: Essays on the CW Series), and “Rediscovering Pleasure in the English Classroom” (in Dimensions of Curiosity: Liberal Learning in the 21st Century). Forthcoming is “Monsters in Mirrors: Duality and Multiplicity in Film Adaptations of Jekyll and Hyde (in Monsters with a Thousand Faces: Adaptations of Literary Horrors). His short story, “Vicious Circle,” was published in the February 2015 issue of The Horror Zine, where he was the featured writer. In 2012 he was selected for the National Endowment for the Humanities Summer Seminar, “Oscar Wilde and His Circle,” held at UCLA’s William Andrews Clark Memorial Library. The 2007 Bethlehem Blog records his experiences as a Visiting Associate Professor at Bethlehem University. As Director of the Scholars Academy, Dr. Mustafa hosted the 2011 Annual Spring Student Research Conference of the Honors Council of the Illinois Region. This summer, he will host the 2019 conference of the International Gothic Association. Dr. Mustafa is currently writing a book on psychology, cartography, and the Gothic novel in the late-Victorian period. 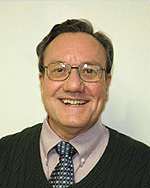 Brother Lawrence Oelschlegel, F.S.C., Ph.D., Professor of English, began a long career at Lewis University when in 1992 he was hired to direct the Writing Center and the Writing Proficiency Examination. Though schooled in late nineteenth and early twentieth century American and British literature at La Salle University, the University of Maryland, and Villanova, he has developed matching interest in Medieval and Early Modern British Literature (especially Gawain, William Langland, ballads and lyrics, and drama). He is also keen on contemporary Biblical literary scholarship. Brother's linguistic interests are focused on "eccentric" writers such as Gertrude Stein, e .e. cummings, Gerard Manley Hopkins, and Wallace Stevens, among others. Currently he is preparing/revising courses for general education and advanced literature studies. Having been a copyeditor for numerous Lasallian publications, he has assisted many departments in writing and preparing new program proposals, program reviews, new forms, and articulations. Each semester Dr. Mardy Philippian tells his students, "How you read is who you are," a statement that makes clear his commitment to developing a generous repertoire of reading strategies. The claim also makes clear his love of surprise, especially when it results in the experience of knowing the familiar, as T. S. Eliot wrote, for the first time. Reading and rereading should surprise and, in so doing, sustain the mind, heart, and spirit. This approach to reading literary and visual texts is quite different from the strategies that characterized reading in the early modern period, the area of research and writing in which Dr. Philippian completed his doctoral work at Purdue University. In the sixteenth century in particular it was normative to read to confirm what one already knew. And yet the English Renaissance was the period of the greatest flowering of creative energy in the history of the English language, exemplified in the work of Shakespeare, Donne, Jonson, Herbert, and Milton among others. Reading to confirm and to discover are two sides of the same page and experiencing the tension between them is part of what animates and directs the courses Dr. Philippian teaches and serves as one area of his research. Since 2012 the primary focus of his research has concerned representations of cognitive disability in early modern texts. In an essay, “The Book of Common Prayer, Theory of Mind, and Autism in Early Modern England,” for example, Dr. Philippian considers how the BCP may have served as a social script for parishioners with underdeveloped Theory of Mind (or ToM). The essay appears in Recovering Early Modern Disability (Ohio State U P, 2013). His reviews, articles, and book chapters have appeared in Literature and Film Quarterly, Film Criticism, Prose Studies, and Forum for World Literature Studies. He has also presented his work at numerous academic conferences in the United States. In addition, since fall 2010, he has served on the editorial board of The Oswald Review: An International Journal of Undergraduate Research and Criticism in the Discipline of English, published at the University of South Carolina, Aiken. Born in Los Angeles and raised in Paso Robles, California, Dr. Philippian earned a B.A. in English from California State University at Chico and a M.A. in English and Ph.D. in English Renaissance Literature and Culture from Purdue University. He joined the faculty of the Department of English Studies in 2016. 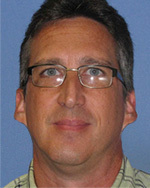 Dr. Wallace Ross, Assistant Professor, earned his Ph.D. in Language, Literacy and Rhetoric from the University of Illinois-Chicago in 1993. 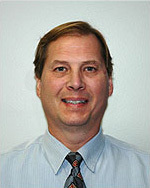 Dr. Ross has served Lewis University since 1997 in a wide range of capacities. Beginning in the SPCE program, working with non-traditional adult learners, Dr. Ross now teaches regularly in the First- Year Writing sequence and offers a number of Topics in Literature, Introduction to Poetry, and Experience of Literature courses for the Department. Outside of the academy, Dr. Ross has done professional writing seminars for executives and trained writers in business settings. He has made several presentations at the ACCA symposium, and his novel, The Last of the Red Hot Humanists, is in the editing stage and should be published soon. Dr. Jackie K. White, Professor, began at Lewis in 2005, and regularly teaches Introduction to Poetry, Early U.S., Latino, Latin American, Native American, and Young Adult Literature courses. Dr. White holds a Ph.D. in English from the University of Illinois at Chicago where she specialized in Creative Writing (Poetry) and Hemispheric-American Studies. A former editor of the literary journal RHINO, Dr. White also has published numerous poems and translations and two chapbooks of poetry: Bestiary Charming and Petal-Tearing & Variations. She is the co-translator of César Miguel Rondon's History of Salsa and is currently working on a translation of Sherezada Vicioso's Algo que decir: Essays on Feminist Caribbean Literature. 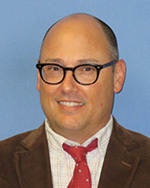 Dr. Christopher Wielgos, Professor, a member of the faculty since 1997, serves as both the Director of Film Studies and the Department's Director of Technology and Tech- Supported Pedagogies. He received his Ph.D. from Northern Illinois University and teaches courses in modern and postmodern US and British Literatures, Film Studies, and First-Year Writing. He also has extensive experience in teaching online courses and the short story. He is a regular presenter for the University's Arts and Ideas program, and recently presented a series of ten films and lectures on Postmodern Film. Dr. Wielgos is an award-winning web site author, and recently published an article published in the Encyclopedia of Contemporary Fiction on the work of Mark Costello. He currently chairs the Teaching and Learning with Technology Roundtable and has chaired the Technology Taskforce for the College of Arts and Sciences for nine years. "I chose English because I'm fascinated with literature. I love reading, analyzing and discussing. I think you can market yourself as having critical thinking, writing and speaking skills in general, because that's what the degree is all about. I can read, analyze and communicate effectively through writing and speaking." "I chose Lewis University for its small class sizes and its spiritual nature. Having come here, I was more of an introverted person, used to working on my own independently. What Lewis really did for me was learn how to step outside of my box, work with other students and really gain a love for reading and writing."